Published in the South Kent Gazette, 15 April, 1981. Endeavour Place, a group of old houses built in the rear, facing the river, took their name from the same origin. The houses all up this side of the road may he regarded as old Buckland, although some have been rebuilt, and others removed to make room for workshops, where machinery fitting has been carried on as long as the mills of the vicinity have existed. Just below the bridge is a very old inn, “The Bull,“ with a swinging signboard having a fine specimen of the animal painted on each side of it. The artist’s work on the sign of 1906, when this book was written, was very good, representing a fine amiable beast, with these lines beneath: The Bull is tame, so fear him not, As long as you do pay your shot. And on the other side there was a furious animal with these lines underneath: When money’s gone and credit’s bad, It’s that which makes the Bull run mad. Houses built between the Bull and the bridge later took the place of an old forge, which stood there at the dawn of the 19th century. The south-west side of London Road, now a most populous part of Upper Buckland, 140 years ago was arable or pasture land from St Radigund’s Road to the approach to Bunker’s Hill, with the exception of two very old thatched cottages facing the vicarage grounds; but there was no vicarage then. The land where the vicarage stands was occupied by two ancient cottages tenanted by Mr Nightingarl and Mr Robbins. A little later Mr Thomas Gould, a gardener, rented the lot, and united the two houses in one, using them as a beerhouse, which bore the sign of “The Pine Apple,“ while the extensive ground around was his nursery garden. After the accession of Queen Victoria, the garden, with its sylvan attractions, was worked as a part of the place of entertainment, and for a time was called “ The Victoria tea gardens“; but in 1845 the Pine Apple was disestablished, and the two houses, that had been converted into a tavern were, with considerable additions, again converted into the Parsonage House. That was in the time of the Rev J. B. Roberts. According to a Parliamentary return made in 1832, the vicar, Mr Pilgrim, resided in Dover, as he stated in that return that there was no suitable house for him in his parish. The Rev J. B. Roberts and his successor, found this big parsonage and its extensive grounds very expensive to keep up, and on the opposite side of the river, just below the bridge, the Rev Tennison Mosse, who was a bit of a building speculator, in the ’60s built Brookfield House, with the intention of making it the vicarage, but it was never used for that purpose. On the land sold as Vicarage Close in 1860, there were standing at the time of the sale, buildings which had been used for a few years as the National School. On the lower part of the site, Mr Watson built, for the Rev Tennison Mosse’s Cottage Building Society, five pairs of “model“ cottages, and at the same time built Brookfield House, in the eastern end of which was incorporated a cross section of the schools, apparently built for the master’s residence in 1856. When the Cottage Building Society was wound-up Mr Charles K. Freshfield, MP, acquired this property, and owned it until he retired from the representation of Dover. Mr Freshfield was elected MP for Dover in 1865, polling only 15 votes less than his fellow Conservative, Major Alexander Dickson. In those days Dover sent two men to Parliament. Mr Preshfield was an influential promoter of the London, Chatham and Dover Railway. He lost his seat in 1868, but regained it in 1874 and held on to it until his retirement in 1885. 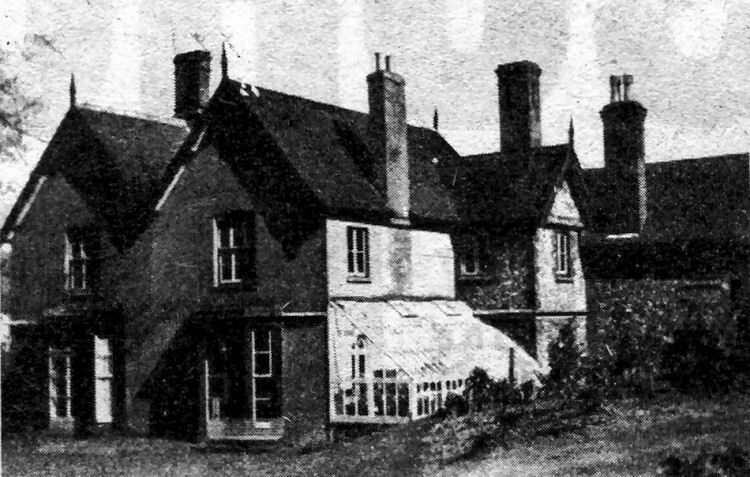 The provision of elementary school accommodation in Buckland, although associated with Vicarage Close, did not begin these. In the year 1839 there was no such provision in Buckland except a Dame’s school. As soon as the new Wesleyan Chapel was opened, at the close of 1839, the old chapel on the other side of the road was used as a day school, but it seems to have been discontinued as such after the first Buckland parish school was erected in 1842. That was a wooden building for 100 boys and girls, which stood where Buckland cemetery now is, the master and mistress being John and Elizabeth Mutton, the former having been a relieving officer of the River Union. When these schools became too small, provision was made in Vicarage Close, where buildings were erected in 1856. These buildings had a frontage to Willow Walk of about 20 yards, but with the exception of the eastern section, were not of a very substantial character, and were demolished to make room for Brookfield House with the intention of converting it into a vicarage. In furtherance of that object, a new site for the Buckland schools was purchased for £200 on the southern side of London Road, and a Government grant of £1320 was obtained to defray the cost of the building. The purchase money of the land, secured on mortgage, was left, when the Rev Tennison Mosse gave up the living in 1867, for the School Trustees to deal with. The foundation stone of the school was laid on 24th February, 1859. The school building was topped with a clock and the former ship’s bell of the Earl of Eglinton, a first class wooden full-rigged ship which was built at Troon in 1854. She was stranded at St Margaret's Bay in 1860. When the 1,275-ton ship was salvaged the bell was purchased for a small sum by the church managers. 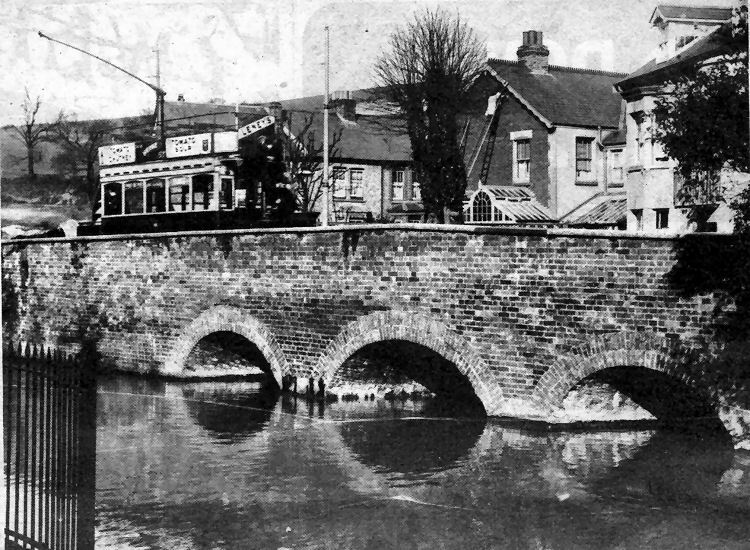 Buckland Bridge photographed about 80 years ago, from the footpath to St Andrew’s Church, as an open-topped tram trundled over the bridge from the direction of the tram shed, just off the picture to the left, towards the town centre. To the left of the tram are open fields where Whitfield Avenue homes stand today. Beyond the tram on the right are terraced homes at the end of Buckland Avenue and, on the right, two houses which used to stand practically on the bridge, at the end of London Road. Above is the old Rectory from the garden with the older part of the property on the right.